KUALA LUMPUR: The Yang di-Pertuan Agong, Sultan Muhammad V, yesterday presented the instruments of appointment to 10 Malaysian envoys to head the country’s foreign missions in as many countries. 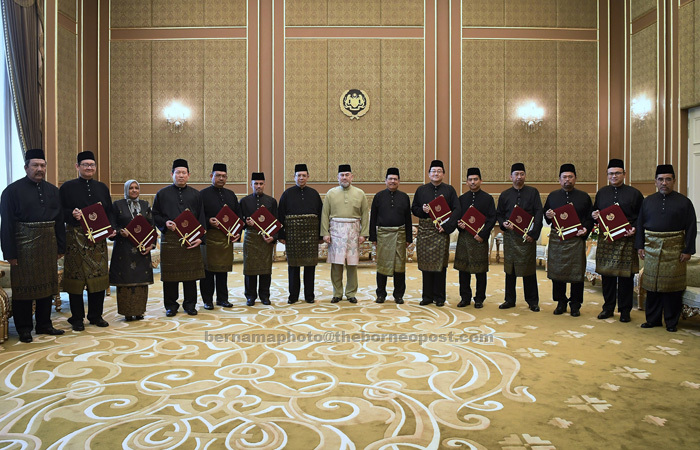 The presentation ceremony was held at Istana Negara. The envoys will take up the new appointments in France, Sri Lanka, Cuba, Mexico, Uzbekistan, Ukraine, Timor Leste, Kuwait, Sudan and Fiji. Dr Azfar Mohamad Mustafar, 47, director-general of the Department of Maritime Affairs in the Foreign Ministry, will be the new ambassador to France. Azfar began service as an Administrative and Diplomatic Officer in 1996. Tan Yang Thai, also 47, undersecretary of the South Asia and Central Asia Division in the ministry, is the new high commissioner to Sri Lanka. He served as the consul general at the Malaysian consulate general in Shanghai, China, from 2014 to last year. Datuk Roslan Tan Sri Abdul Rahman, 53, the ambassador to Azerbaijan since 2014, will be the new ambassador to Cuba. Muzafar Shah Mustafa, 49, the ambassador to Venezuela since 2016, is the new ambassador to Mexico. Hendy Assan, 48, undersecretary of the East Asia Division in the Bilateral Affairs Department of the Foreign Ministry, will be the new ambassador to Uzbekistan. Datuk Raja Reza Raja Zaib Shah, 54, undersecretary of the West Asia Division, will be the new ambassador to Ukraine. He served as the Malaysian deputy permanent representative to the United Nations from 2013 to last year. Sarimah Akbar, 51, undersecretary of the Cambodia, Laos, Myanmar and Vietnam (CLMV) and Oceania Division, will be the new ambassador to Timor Leste. Datuk Mohammad Ali Selamat, 48, who was the consul general in Jeddah, Saudi Arabia, from 2015, will be the new ambassador to Kuwait. Mohamad Razdan Jamil, 46, the deputy head of mission at the Embassy of Malaysia in France, will be the new ambassador to Sudan. Ilham Tuah Illias, 51, undersecretary of the Human Resource Management Division in the Foreign Ministry, will be the new high commissioner to Fiji.